The Rhode Island Brewery Passport has finally arrived! 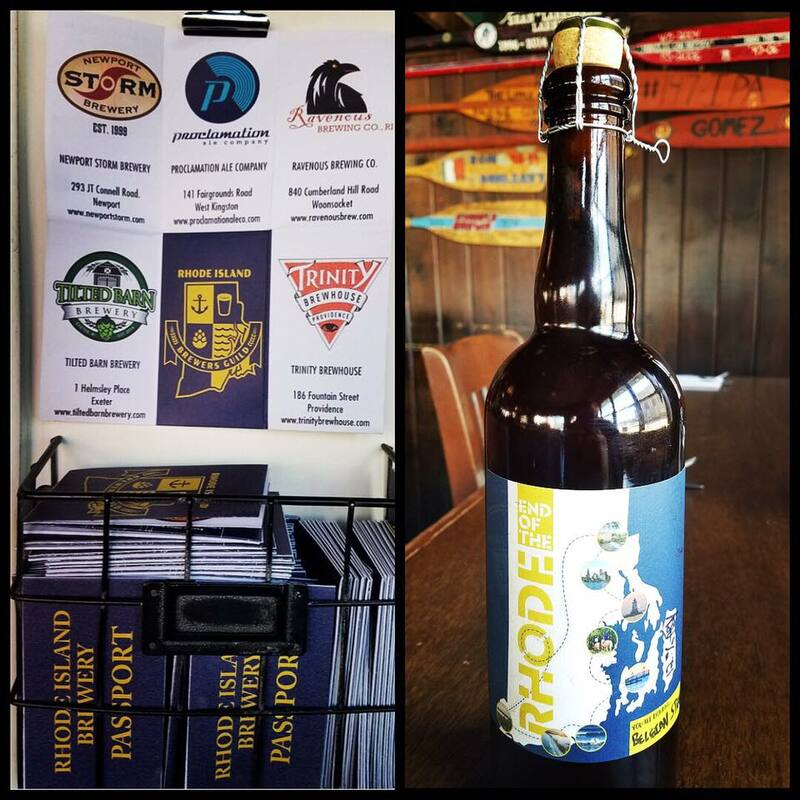 It’s been a loooooooong time coming, but the Rhode Island Brewery Passport is finally a reality [we beat the drum for it in our epic post, “Growlers and beyond: raising the beer bar in Rhode Island,” which ran on 5.22.15]. When you make any purchase at a brewery that is a “voting member” of the Rhode Island Brewers Guild — Bucket, Coddington, Crooked Current, Foolproof, Grey Sail, Long Live Beerworks, Newport Storm, Proclamation, Tilted Barn, Ravenous, Trinity Brewhouse, Union Station, and Whaler’s — your passport gets stamped, and when you’ve been to all 13 stops, you get a free bomber of End of the Rhode, a formidable Belgian strong ale which was made with RI-sourced hops and honey by the participating brewers! Win win!! Go hit the RI beer trail!!!! It’s National Beer Day! And Session Beer Day!! It’s National Beer Day [aka every day]. Why? 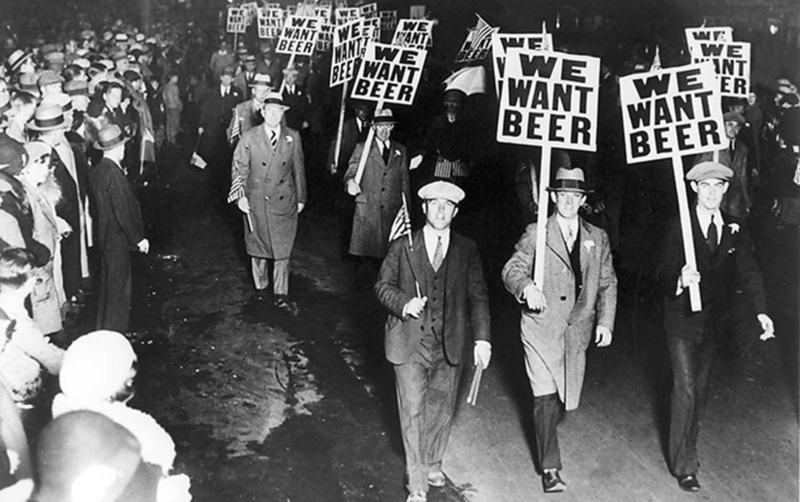 Let’s turn the wayback machine to 1933, in the waning days of Prohibition. On March 22, FDR signed the Cullen-Harrison Act, which legalized the sale, purchase — and drinking — of beer [with an ABV cap of 4%]. The law went info effect on April 7. On the 6th — New Beer’s Eve — thousands of suds-craving folks waited outside bars and breweries for the stroke of midnight; in the next 24 hours, 1.5 million barrels of the first-legal-beer-in-13-years were consumed. So raise a glass and toast the sweet nectar of freedom! The folks at the Session Beer Project have declared it Session Beer Day. They don’t mention National Beer Day in their manifesto — “insist on 4.5% or less” — and one wonders why they didn’t choose another date for their “holiday.” Spread the cheers! By the way, it’s also National No Housework Day and National Coffee Cake Day. Beer pairs very well with those celebrations.